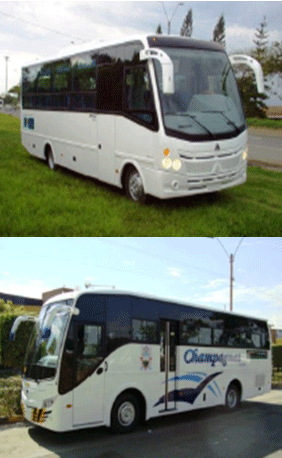 CARROCERIAS ANDINA S.A.S., is a Colombian company specialized in the manufacture of buses for the public and private sector. More specifically, within CARROCERIAS ANDINA S.A.S.’s array of products are public transportation, school, transit-style and mini tour buses or microbuses, as well as coach buses. With over 40 years in the market, CARROCERIAS ANDINA S.A.S. is capable of building mobile solutions for passenger and cargo transport, as well as special vehicles and multipurpose mobile units and has the capacity of designing and producing any automotive part based on customer’s specifications and requirements. CARROCERIAS ANDINA S.A.S. provides bus building solutions and services, seeking customer satisfaction by continuously improving processes and by working in harmony with the environment and society. CARROCERIAS ANDINA S.A.S. has the appropriate infrastructure, so as to offer high quality services and technical advice without additional costs to its clients. 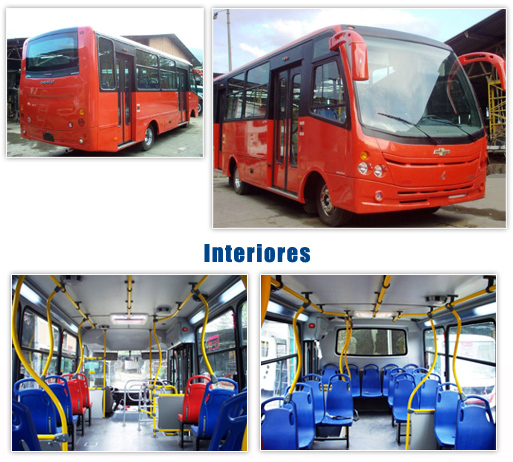 CARROCERIAS ANDINA S.A.S.’s vision is to consolidate its presence in the domestic market and penetrate the international market as a reliable supplier in the manufacture of bus bodies, providing solutions and personalized services that meet customer needs. CARROCERIAS ANDINA S.A.S. 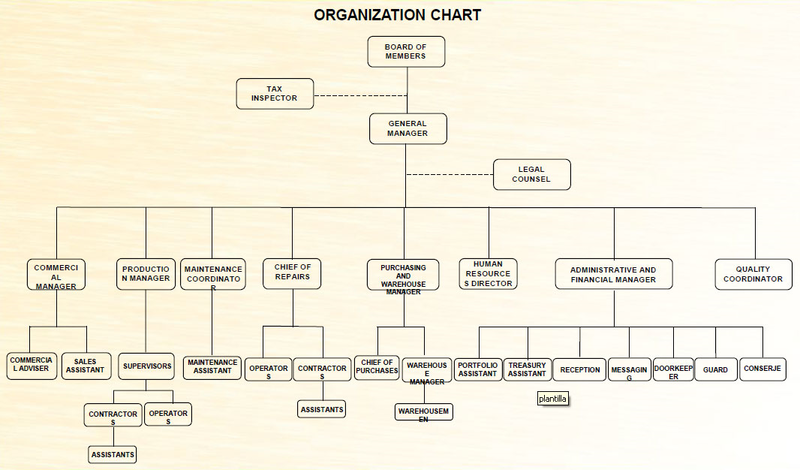 offers competitive prices and quality services that meet customer demands and legal requirements. For that reason, the company has the necessary infrastructure and a team of competent and responsible engineers focused on the continuous improvement of processes. The company has certified its quality management system with ISO 9001:2008. CARROCERIAS ANDINA S.A.S. provides maintenance and repair services for transportation vehicles. More specifically, the company offers painting and alignment services, mounts and dismounts, as well as repair services on structural parts, such as handle poles, girders etc. CARROCERIAS ANDINA S.A.S. 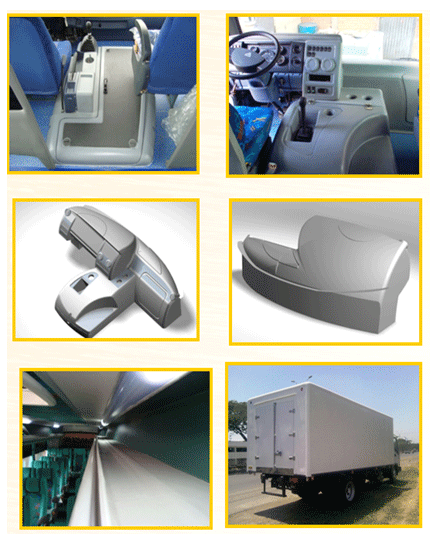 manufactures molds reinforced with fiberglass (P.R.F.V.) for the plastic parts manufacture, based on epoxy resins in polyester for various industrial applications. The products range includes: bus roofs and inside parts, such as the driver's cabin, consoles and vehicle boards, as well as fiberglass shelves for food trucks. The company also designs and manufactures metallic automotive parts. All produced parts have maximum mechanical and chemical resistance, are very light and have all the necessary characteristics, such as firmness, permanence and resistance to corrosion. They are also economic and easily repairable in case of damage. CARROCERIAS ANDINA S.A.S. manufactures carrier bags and handlings with P.R.F.V. linings and fabric endings, using a careful production process. CARROCERIAS ANDINA S.A.S. 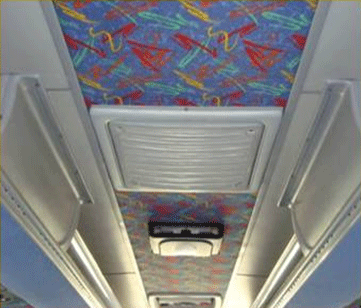 designs and manufactures interior tapestry lines, including floor and screen tapestry for luxury buses in different types of fire resisting, quality and high pressure materials. CARROCERIAS ANDINA S.A.S. 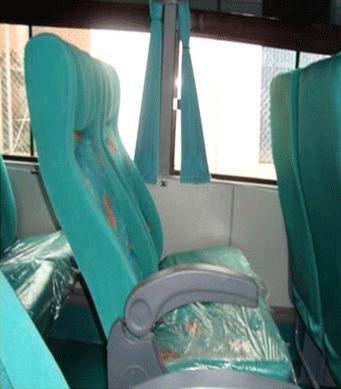 manufactures ergonomic bus chairs for all kinds of transportation vehicles, injected with polyurethane high density foam, made of fire retardant and impact resistant fabrics with a central adjustment mechanism. CARROCERIAS ANDINA S.A.S. offers painting and thermal insulation services using putty polyester and polyurethane colors and sprays. These colors are open air resistant, waterproof and protected against air friction. CARROCERIAS ANDINA S.A.S. 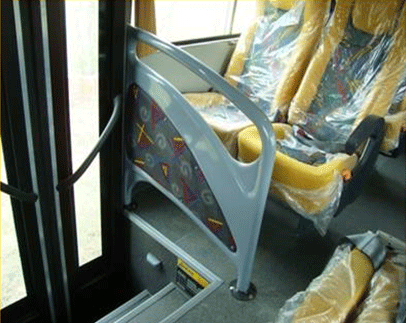 designs and manufactures intermunicipal, school and tourist buses, minibuses and minivans, as well as their interiors. CARROCERIAS ANDINA S.A.S. 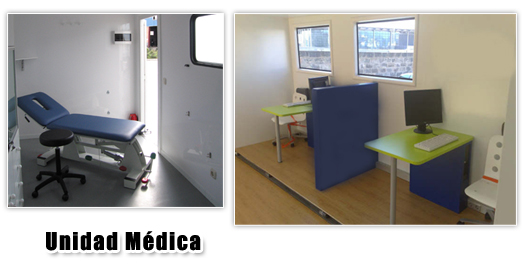 manufactures ambulances and special mobile or travelling units, such as: product promotion, veterinary, for medical/dental care, lubrication and maintenance, workshop and education purpose and trolley units, as well as transportation units for people with disabilities.